We believe that photographs are not meant to live and die on a hard drive. That albums and artwork hung on walls are amazing conversation starters. That touching and holding prints is an emotional experience. And that the best way for someone's memory to live on long after they do is through printed photographs. Hand-crafted leather albums with custom cover options. Full-spread photographic print pages mounted to archival quality board, and bound for durability. 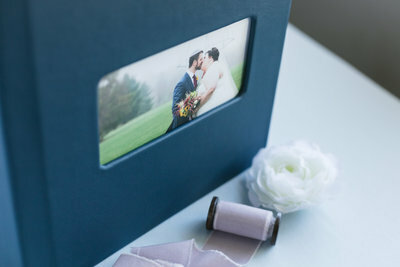 Stephanie carefully designs each album layout to be an artistic representation of your wedding day. 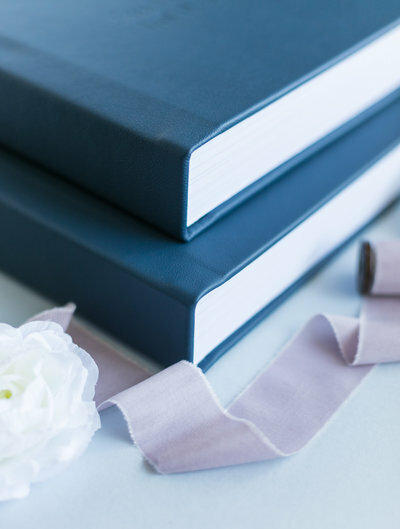 "Our wedding album is our most treasured possession." 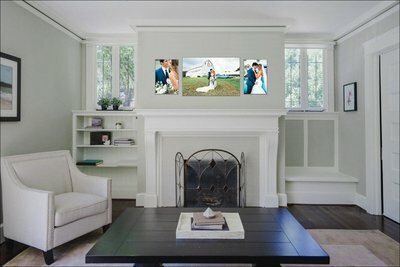 Canvas gallery wraps, metal prints, and framed mounted prints provide a daily reminder of the ones you love. Stephanie works with all her clients to curate wall collages and impactful art displays that fit not only the space in your home, but the style as well. "This is by far my favorite art installation in my home." 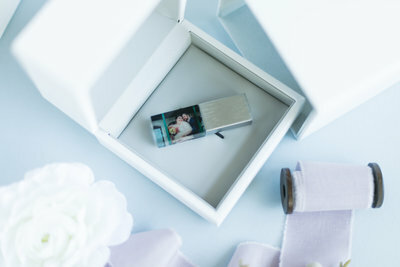 Your custom boxed-USB not only contains all of the images from your wedding day for you to save and backup, but it is a beautiful keepsake that features 2 of your favorite images on the box and the drive itself. 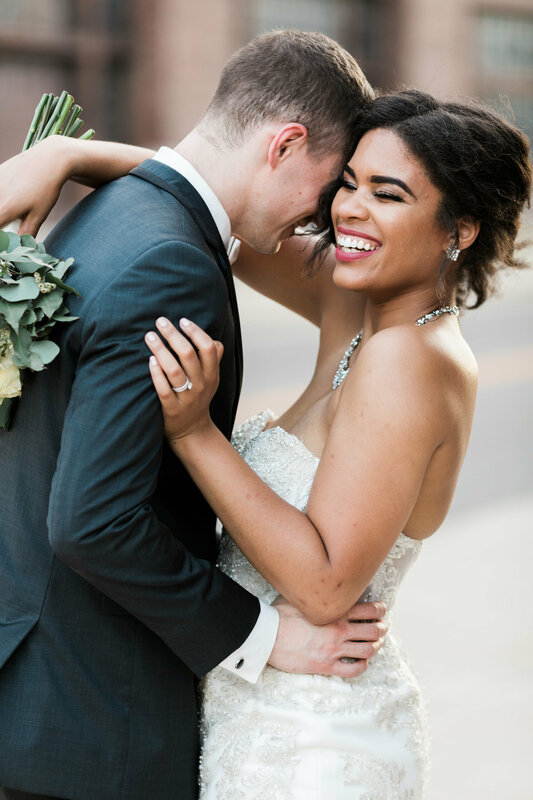 "The USB was so beautiful and the perfect way to store and archive all of our images."